We see the armies of the Isreallites and Philistines come against each other in battle. The Israelites were scared of the Philistines because of their champion named Goliath. Golaith was described was a giant, and he came out daily to taunt the Israelites. The Israelites were afraid and terrified of the challenge from Goliath and this made me think how many times I tremble at the sight of a challenge. The challenge the Israelites were facing wasn’t aimed at them but at the God they claimed to serve. The Israelites once again had forgotten about God. They didn’t think to consult God and ask for His help rather they trembled and lived in constant fear of Goliath. How many times do we, like the Israelites, tremble at the sight of a challenge or problem? It’s like we completely forget about how big our God is. Do we even remember to pray and ask God for help or do we resign to our fate? They were so terrified of him that they ran away any time he came close. However, the story of the Israelites was about to change for good as a result of a young boy named David. He understood who God is and had been on the receiving end of His help in the time past: against lions and bears that came against his fathers sheep. He knew the power of His God and no challenge (no matter how big or small) was going to make him doubt his God’s ability. How well do we know our God? David was angry and saw Goliath as not just challenging the Israelites but their God. He felt it was an insult to God. 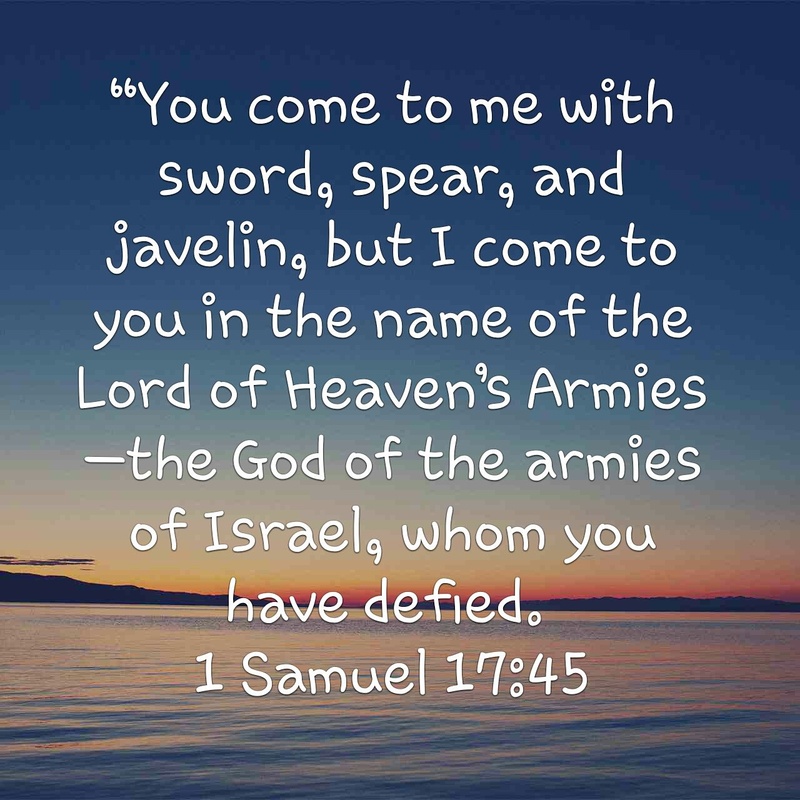 One key thing I want us to notice here is that David’s boldness was not based on His strength, rather it was based on God’s strength and ability. He knew that with God on his side he could deal with Goliath just like the lions and bears in the past. His past experience of God gave Him assurance. He knew that if God did it before he can still do it again. What experience do you have? Can you recall them to memory and let them boost your faith in God? David acknowledged the fact that the battle was God’s to fight and that he was just an instrument in God’s hands. Today what challenge or situation are you facing that is defying God in your life? I urge you like David did to confront that challenge in the name of God; the commander of the host of heaven and let it know how big your God is. Remember with God all things are possible (LK1:37) and all power belongs to Him. Here we see God instruct Samuel to go ordain a new King for Israel. God specifically told him which house to go to. Samuel obeyed and went but when he got there and he saw the first child, he automatically assumed he must be the one God was referring to. He had no basis other than the fact that Eliab looked the part. 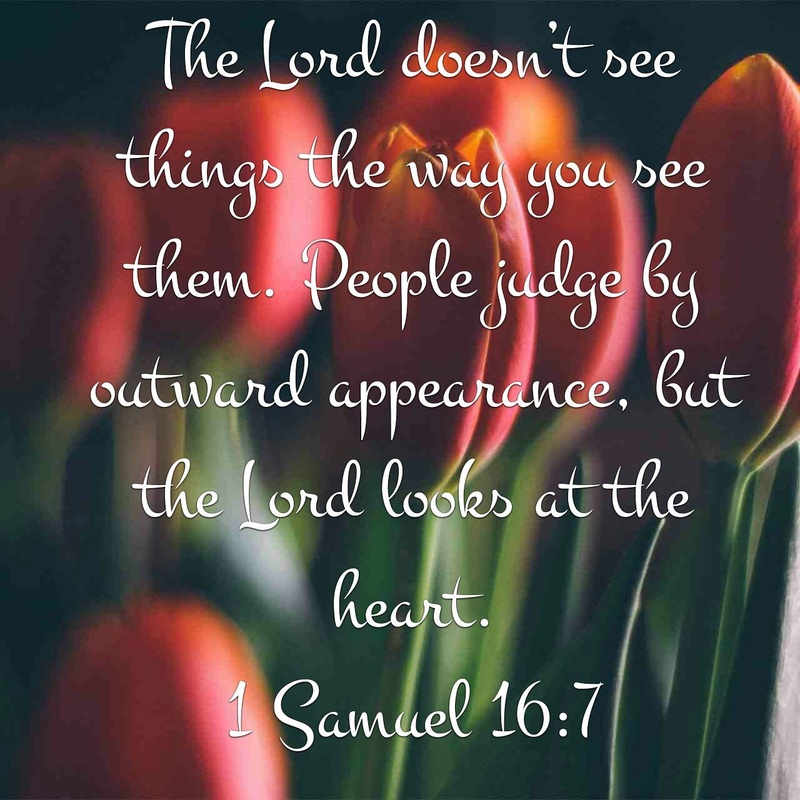 Samuel judged based on the outward appearance. God had to remind him who is in charge of the mission and that He (God) doesn’t reason the way we reason. We look at the outward appearance but at the inside.